Egypt Travel representative will pick you up from your hotel in Luxor to discover the ancient sites. First, visit Abydos, the ancient Egyptian believed of god (Lord of the underworld) to be buried there. 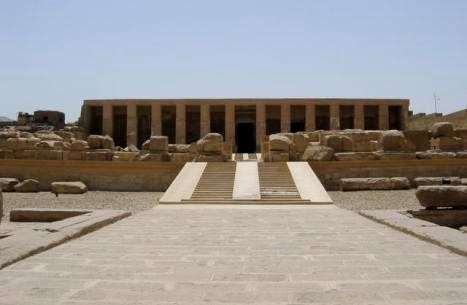 The temple was built by King Seti I, and completed by King Ramsess II, known as temple of Seti I. It is located in Abydos city about 420 km to the south of Cairo in Sohag Government, and 135 km from Luxor . The paintings of the Gods and Pharaohs on the walls of the Osiris Temple at Abydos are among the most beautifully preserved in Egypt. Then continue to Dendera to visit the Temple of Hathor, goddess of love and joy.The temple is located in Dendera which is situated at the north of Luxor .